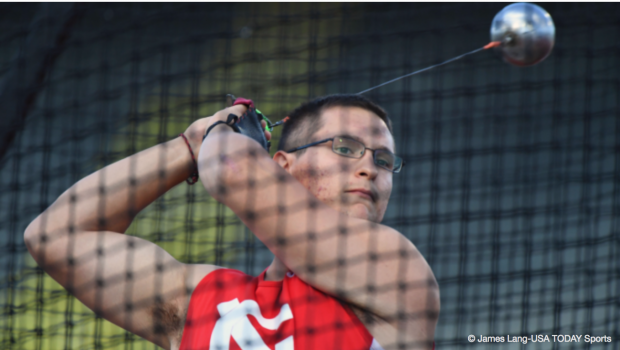 Rudy Winkler, the reigning NCAA hammer throw champion and 2016 Rio Olympian, will compete for Rutgers University this outdoor track season. The three-time All-American graduated from Cornell in the spring; Ivy League schools do not offer the opportunity to compete for five years. The 22-year-old's best mark in the hammer throw is 76.76m, which netted him first place at the 2016 U.S. Olympic Trials and a spot at the Olympic Games in Rio. He placed fourth at this year's USATF Championships, one spot from making the world team, after winning his first NCAA title in June. "A big part of my decision to come to Rutgers was the competition in the Big Ten," Winkler said in a Rutgers press release. "Having a season where I'm competing at bigger meets consistently will be good for me. The Big Ten a few years ago in the hammer was ridiculous. Training for the 2020 Olympics is going to be a big thing. I think I have some potential to get back there." Rutgers throws coach Robert Farrell said of Winkler, "He's an outstanding young man who has competed at the highest levels. He epitomizes what it is to be a successful student-athlete, excelling both in the classroom and in the hammer. I can't wait to get started and help him accomplish his dreams." Winkler graduated from Cornell with a degree in biological engineering. He will pursue a Masters of Business and Science at Rutgers.